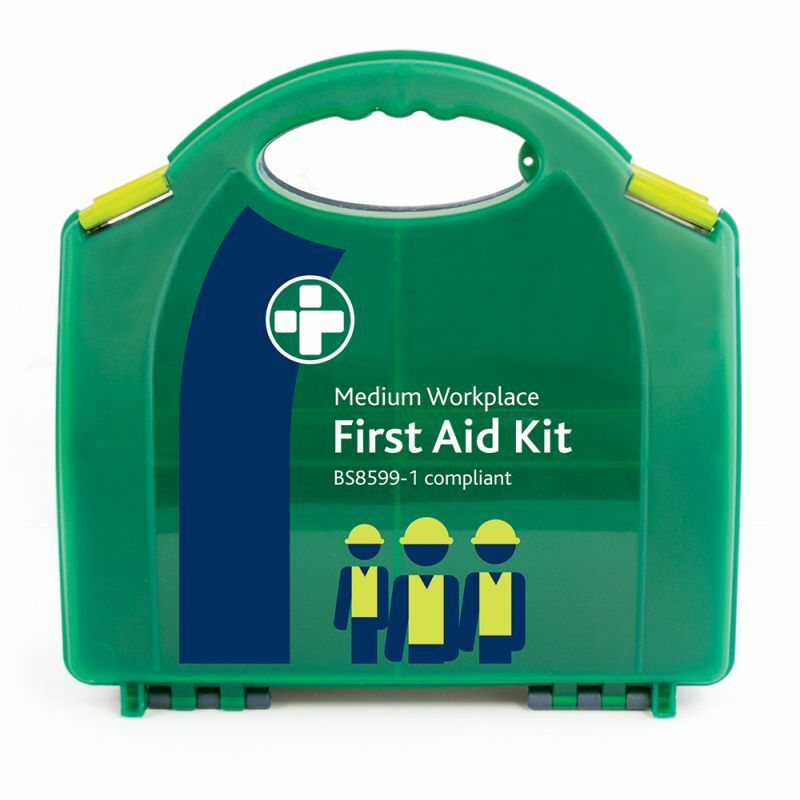 The first since the new standard for statutory first aid kits in the workplace since 1997, the Medium Workplace First Aid Kit reflects the changes in both workplace practise and risks. It is made to be compliant to the latest HSE standards and demonstrably more fit for purpose in today's medium-sized enterprises. 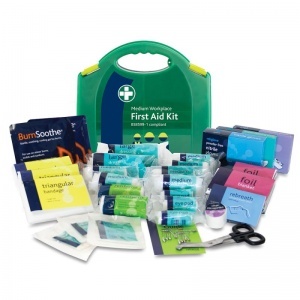 It is every employer's duty to provide a suitable first aid kit in the workplace, especially as a business starts to grow, to ensure that they are well-prepared to provide immediate attention for any injuries. The provisions in this kit are completely up to date to ensure peace of mind that all legal obligations are met under the Health and Safety First Aid Regulations. What is Included in the Medium Workplace First Aid Kit? In order to meet the Health and Safety requirements of the law, an employer needs to carry out a full risk assessment to determine the size and quantity of first aid kits that are needed for their business. Low risk sites include shops, offices and libraries, whereas high risk sites include warehouses, construction, chemical manufacture, food processing, engineering, assembly work et cetera. 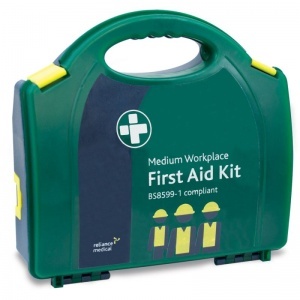 Containing everything you need to ensure that the best practice is observed, this BS 8599-1 compliant kit can be used in low risk (one kit per 100 employees) and high risk (one kit per 25 employees) work environments. 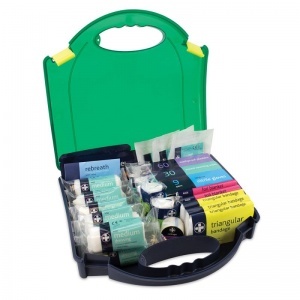 All of the contents of the kit is HSE approved and stored in a stylish colour-coded carry case. The Medium Workplace First Aid Kit is usually dispatched via First Class Royal Mail and delivery should be within 1 to 3 working days.